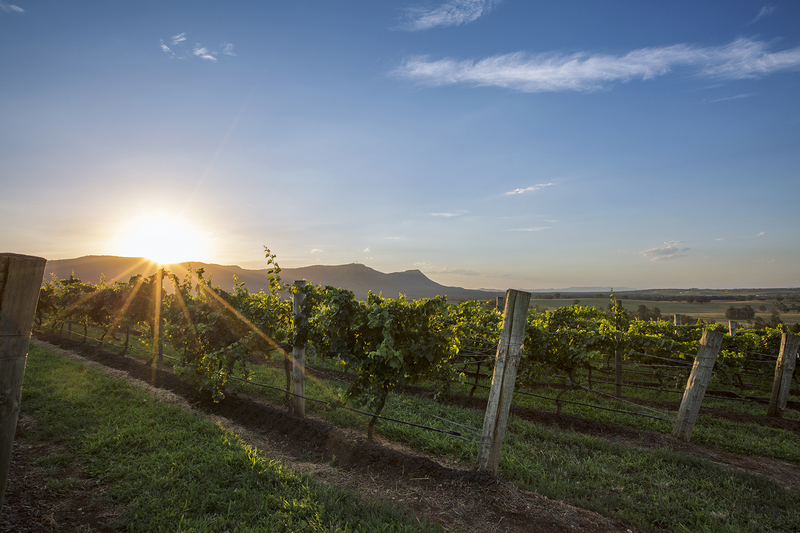 Set your sights on visiting some wineries but a bit unsure whether the kids will be welcome? You'll be happy to know that here in the Hunter wine-tasting can be fun, even when you've got the entire fam bam with you. Here's a round-up of cellar doors with games and activities to keep the little ones occupied while you sample some super-tasty wines. Has a kids' corner in the cellar door where the kids have a variety of games and craft activities they can enjoy with while mum and dad have a tasting next to them. Also offers outdoor dining in the form of gourmet picnic packs (from the cellar door) or tapas towers (from The Verandah Restaurant) so you can relax over a long lunch while the kids play and run around beside them on the beautiful estate grounds, which are home to peacocks, geese and other wildlife. This child-friendly cellar door has bocce, croquet, Chinese checkers, board games, soccer, Lego and a cubby house for the kids. Also has picnic rugs and bambino gelato cones for sale. Stocks colouring-in books, totem tennis and balls and play toys for small children. Over the Easter school holidays there's a special Mini Growers program (link here) and complimentary lawn games and fun activities in the courtyard while Mum and Dad taste wine. Monday to Thursday from 10am until 5pm light snacks including house-made soup, toasted paninos, sweet treats and cheese boards are available. From Thursday dinner to Sunday lunch and open all Easter long weekend the hatted restaurant welcomes minis and adults alike. Every Saturday and during school holidays, the owners' youngest grand-daughter, 16-year-old Natane, provides free child-minding, taking kids on a tour of the sculpture garden, feeding fish in the dam and playing soccer. Also has a kids' school desk, pencils and colouring-in books. Has a Kidz Zone with some toys and games, Play-doh, crayons etc, plus a large grassed area in front of the cellar door to kick a ball around. Also has boules and croquet available. The owners say by far the most popular activity is playing fetch with the two kid-friendly dogs, Semillon and Chambourcin! The cellar door toilet has a baby change table. Lawn games available at all times for kids to play with outside on the sprawling lawn next to the outdoor dining area. There's a large wicker toy box filled with footballs, soccer balls, quoits, mini golf clubs and golf balls, totem tennis, small cricket bats and balls. Also offers child-friendly dining options at the on-site restaurant. During the upcoming school holidays, they will be holding a free Easter Egg hunt on Easter Saturday morning. Has totem tennis, lawns to play on, giant cheese, fish to feed in the dams, walking trains and a kids' menu in the restaurant. The cellar door has colouring-in and an activity box with puzzles and dominoes. Both the Gillards Road and Hermitage Road cellar doors have hula hoops, skipping ropes, Jenga and colouring-in pages. At Gillards Road, there is a large grassy area out the back of the cellar door, as well as a large blackboard. Has a large grassy area with picnic tables out front, colouring-in sheets and the whole family can pick their own table grapes from December to March. Has a toy box and colouring-in books. Also has picnic rugs and you can purchase cheese and meat platters to enjoy within the grounds. Stocks colouring-in books and on weekends and during school holidays has timber board games and outdoor lawn games Giant Jenga, Connect 4, croquet and hoopla. There's a large lawn in front of the tasting rooms where the kids can play with balls and other toys. Has bocce/boules next to the cellar door and boxes of toys inside the cellar door, as well as colouring-in, pens and pencils for the kids. Has a great cubby house and sandpit at the cellar door for kids.